We can't wait for November 18! 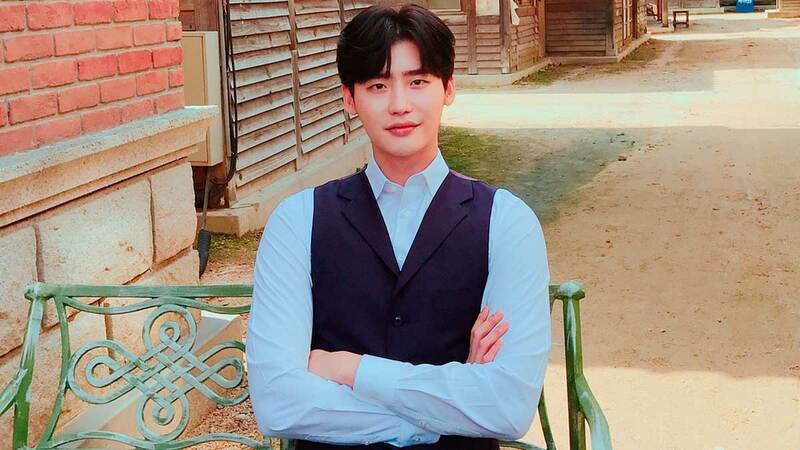 South Korean actor Lee Jong-suk will be coming to Manila for a meet and greet session with his Filipino fans on November 18. The 29-year-old Korean heartthrob will be holding his Crank Up Fanmeeting Tour produced by PULP Live World at the Araneta Coliseum in Quezon City. This is the first time Jong-suk will be visiting the Philippines after being introduced as an actor in 2010. Jong-suk is best known for his roles in Korean dramas such as School 2013 (2012), I Can Hear Your Voice (2013), Doctor Stranger (2014), Pinocchio (2014), and W (2016). He earned several acting awards for W including the Top Excellence Award: Actor in a Miniseries in the 2016 MBC Drama Awards and Best Actor in a Miniseries in the 5th APAN Star Awards. He was paired with former Miss A member Bae Suzy in While You Were Sleeping. The said TV series was aired in South Korea in 2017, and a Tagalog-dubbed version was aired in the Philippines by GMA-7. Some of the songs that Jong-suk will probably perform during his Manila fanmeeting are "My Soul," and "Do You Know" from the official soundtrack of While You Were Sleeping. His Filipino fans are hoping to see his dance skills just as he displayed them during a fanmeeting in Seoul last year. Lucky fans will be selected to participate in games during the meet-and-greet session. YouTube user Rotsen Morales attended Jong-suk's fanmeeting in Taipei, Taiwan, on September 9. She recalled that audiences were able to participate in a game called "Communicate by Telepathy." Through her YouTube video, Rotsen explained the mechanics of the game by writing in the description box: "There will be two choices then huhulaan ng fans kung alin doon ang gusto ni Oppa o magiging choice niya. Ang may maling sagot will be eliminated until iilan na lang ang matitira. (matira-maswerte) hehe. The winner will have a chance to go up the stage and will be given a token by Oppa... and OMG, may pa-hug pa!" Fans will get to know more about Jong-suk during the question-and-answer segment of the event. On August 17, Jong-suk became emotional during his fan meet in Tokyo, Japan. The Korean actor shed tears while talking about his pending military enlistment and expressing his gratitude towards his Japanese fans. Tickets for Lee Jong-suk's fan meet in Manila are available via Ticketnet Online. Prices are as follows: P10,000 (PHOTO ROYALTY), P10,000 (FANATICS), P8,500 (HI-TOUCH ROYALTY), P7,500 (LEE), P5,500 (JONG), and P2,500 (SUK).